Replacing timber fascias, soffits, cladding and guttering for over 25 years! Each of our roofline products are constructed from the highest quality uPVC, making them trouble and maintenance free. Prior to fixing your roofline, we will remove the existing timber barge board and soffits, checking for any signs of rafter end rot. 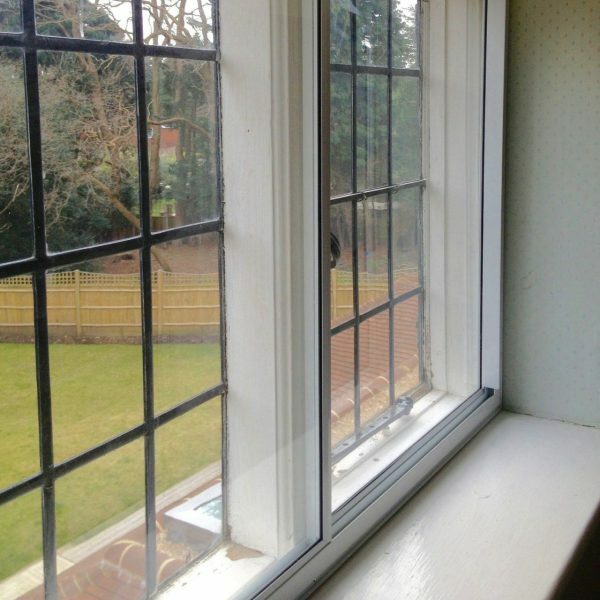 Should any be discovered, we will apply a preservative treatment before securing the new boarding in place. In the event any of the structure being structurally unsound, we will cut it out and replace it for a new pre-treated timber. We always install a new damp proof membrane under the existing roofing felt, which passes directly over the fascia and into the gutter, ensuring the protection of the rafters from damp. Our specialist roofing team have installed, repaired and replaced a variety of gutters, fascias, soffits and cladding on period and modern properties. 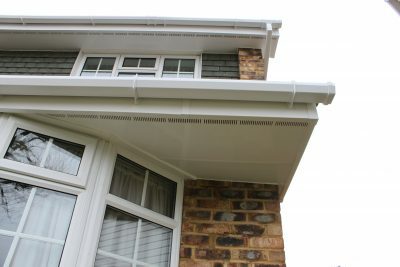 With our skilled workmanship and attention to detail, all our roofline products are fitted in line with your property’s character! Our fascia, soffit, gutter and cladding board installations are covered by a 10 year product and workmanship warranty, giving you peace of mind that our roofline handiwork will last for years to come. All of our roofline products are available in a variety of colours. Choose between white, rosewood, light oak or black to find a finish that best suits your property. Experts in Soffits, Cladding, Fascias and Roofline Guttering. It could be time for you to replace your current soffits, cladding and fascias, especially if you live in an older property which has timber boards. 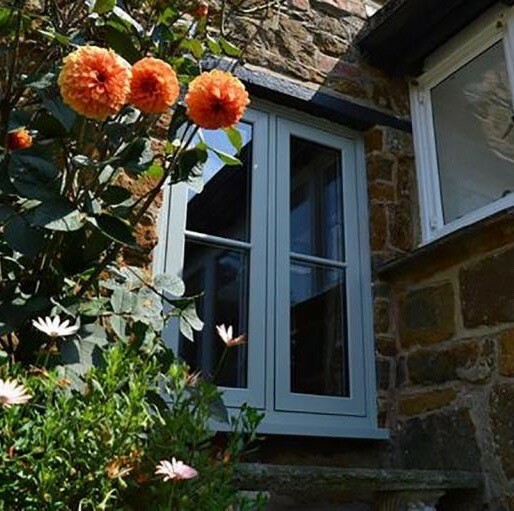 We use only high quality uPVC materials, foam-filled for robustness and covered by our 10 year warranty. 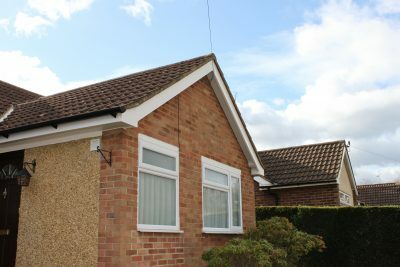 As leaders in replacing fascias and soffits in Surrey, our experts will take the time to carry out a meticulous check of your roofline to ensure there is no rot or decay. If there is, then they will treat it before the replacement work. It’s not just the improvement in the look of the property that you gain, but also the saving of funds and time spent on maintenance. Don't be left gutted by your guttering! We repair and replace old, tired and broken gutters as part of our roofing repairs and installations. 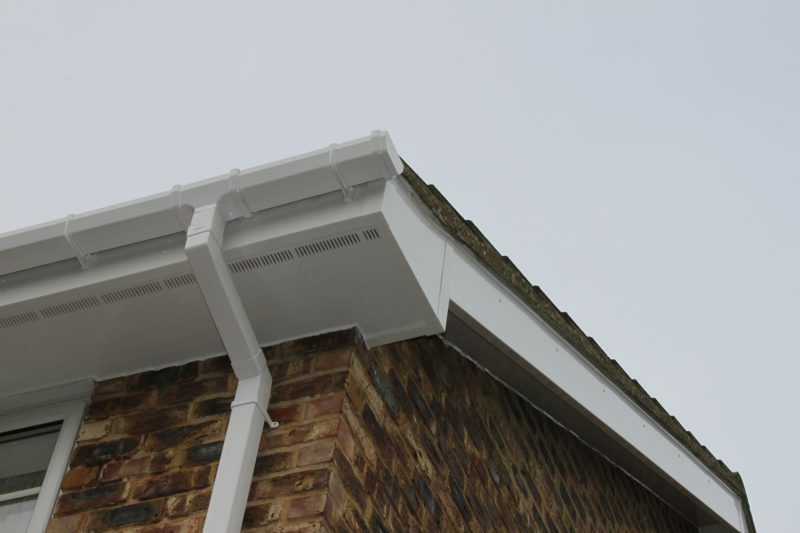 The guttering plays a huge role in providing an effective flow of rain water from the roof to ground level drains. If your guttering is blocked and/or leaking then this is a problem that needs correcting quickly. Leaking gutters can actually cause damage to your fascias, soffits and walls. Our roofline guttering experts are available to install uPVC guttering systems, repair or realign your guttering, and clean your guttering! Interested in a free Roofline quote? You can receive a free, no obligation roofline quote and estimation by getting in touch with the team.